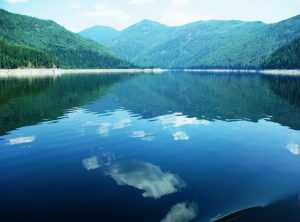 Baikal lake is located on the border of Irkutsk region and the Republic of Buryatia – in the center of the Asian continent. “Blue Eye of Siberia”, “Sacred Sea”, “diamond planet” – the so-called Baikal lake. Deep lake holds the world’s largest reserve of fresh water, a unique composition. It is not only clean and clear, but contains so few mineral salts, which is equivalent to distilled. The lake is a crescent-shaped elongated from north to south-west by 636 km. The width of the lake is 80 km and the depth of 1.642 meters. There are several versions of the lake’s name. The most common of them – the origin of the place name from the Turkic “Bai-Kul”, which translates as “rich lake”. Clean water in the lake allows you to see through the thick of it objects to a depth of 40 meters. Lake Baikal contains 19% of the world’s fresh water reserves – more than 23 thousand cubic kilometers. This is more than in the American Great Lakes combined. Gathering of participants cruise in Irkutsk hotel “Irkutsk”. Meeting with a guide. Sightseeing tour of Irkutsk. Transfer Irkutsk – Listvyanka. Landing on the ship “Alexander the Great” in Listvyanka. Departure toa the Cape toast, meeting Baikal lake, Circum-Baikal Railway (Pribaikalskiy National Park). On a small plot of 84 km from Port Baikal to Kultuk was punched 39 tunnels, built a lot of viaducts, bridges and stone galleries. It breached the longest tunnel, with a length of 778.4 m.
Landing from the ship to the shore. Tour of the Circum-Baikal railway tunnels. Arrival at Pad incense. Landings. The hike to the cave “Chapel”. Walking route at 3:00, with a slight rise in the mountain. The length of the trail 4 km. Pad incense is a conservation area. In the past there was a village and a quarry where limestone is mined and burned to obtain lime. The Precambrian outcrops of limestone found fossilized remains of ancient organisms. Attractions Padi – caves, which are more than ten, and they are located at the foot of the picturesque cliffs. The caves at various times have been discovered traces of ancient hearths and a variety of household items, belonging to the Iron Age. 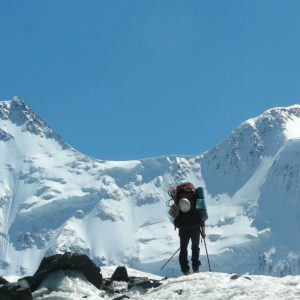 Departure to Olkhon Island to Kurykanskaya wall. Dinner on board. Breakfast on board. Out on the beach, excursion to Kurykanskaya wall. 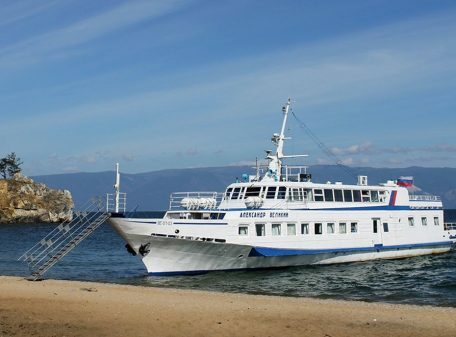 The arrival of the ship to the island of Olkhon, visit ancient Kurykanskaya wall. On the shore of Small Sea in the southern part of Olkhon, the ruins of the protective wall, intercepting the isthmus Cape Khorgoy. The wall belongs to Kurykan culture and is one of the best preserved ancient buildings of the island. Wall built of large stones without the use of binder solution. Its height reaches 1.5-2 meters in some places. Return to the ship. 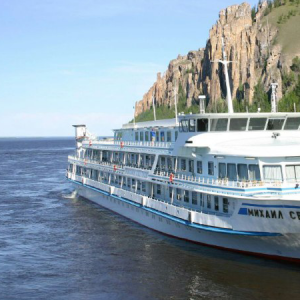 Cruise to the island Ogoy (Pribaikalskiy National Park). Out on the beach, a visit to the Buddhist Stupa of Enlightenment. Ogoy Island – the largest island of the Small Sea, its length – 3 km. In 2005, the island sacred Buddhist Suburga or Enlightenment Stupa was built. Eight-meter structure made of concrete, consists of three stages, domes and spiers. Lunch on board. Arrival to the island of Olkhon. Landing from the ship to the shore. Tour around the island. Meeting with a shaman and holding a ceremony. Visiting sacred Shaman rock. 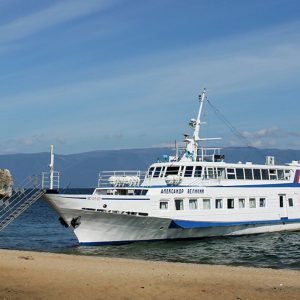 On Lake Baikal 26 islands, including the largest – Olkhon, which is a geographical, historical and sacred center of the lake – the center of ancient legends and historical tales. Shaman Rock – one of the nine holy places of Asia. The most revered cave in the rock of the cape, which is considered home to host the spirit of Olkhon. Olkhon guests encounter a real shaman. Shaman conducts the rite, tells the legend of the Buryat people, singing in the Buryat language and teaches guests to dance “Yokhor”. Return to the boat, departure on about. 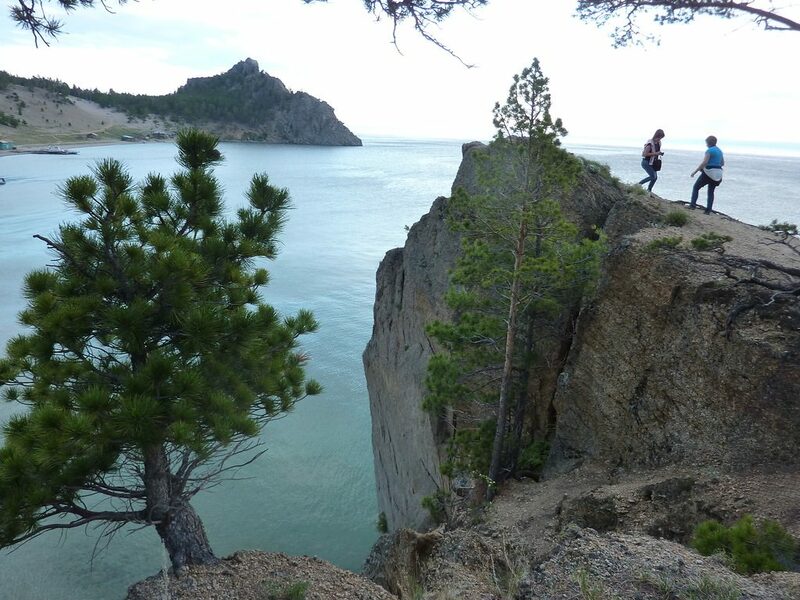 Olkhon cape Sagan-Khushun (Pribaikalskiy National Park). 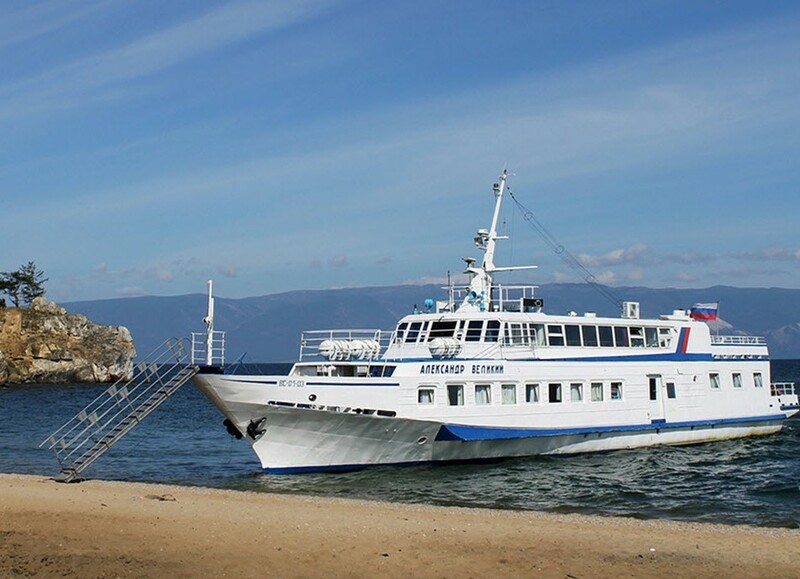 Arriving at Cape Sagan-Khushun, access to the beach. Excursion to the white cliffs. Dinner on board. The name “Sagan Khushun” comes from the Buryat “White Cape”. This is an extremely scenic rocky cape length of about 1 km., Is made of marble, light-colored, densely covered with brownish-red spots of lichen. Guide Lecture: “Olkhon Island – home of shamanism”, culture, life, traditions and religion of the Buryat people. Breakfast on the bot ship. Arrival at Ushkany Islands. When the weather is good you can visit the rookery of seals (payment in cash on the spot). Ushkany island located in the middle of the lake, seven kilometers from the Holy Nose Peninsula. On the rocky beaches Ushkaniye islands resting seals in their natural habitat. Here they were going to a few hundred. In addition to this amazing spectacle on Ushkany are many natural wonders: dwarf birch with black bark, pine with a florid form of trunk, as well as trees, whose age is more than 300 years. Return to the ship. Departure Bay Snake. Lunch on board. Relax on the deck. Arrival in Chivyrkuisky Bay Snake Bay (sandy beach). Landings. on a sandy beach Rest. On request, guests may swim in the hot springs (the opposite bank). 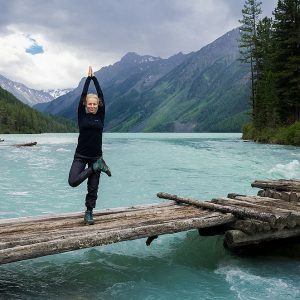 Right on the coast of the bay are known in Baikal thermal springs whose temperature is around 40 – 45 ° C. Water hydrogen sulfide, has healing properties, treats sciatica and diseases of the musculoskeletal system. Return to the boat, dinner on board. Tea table in a restaurant. Lecture on “The Sacred Lake Baikal”. The arrival of the ship at Bay of Sosnovka (Barguzin Preserve). Breakfast on board. Guided tour to “Morin” lake, waterfall, river mouth Shumilikha. Walking route to last all day. Length of trails 11 km. Shumilikha River is the southernmost river reserve is 12 km long with a step channel of which have developed under the influence of ancient glaciation. This river is recognized as a special natural interest. Waterfall in the river valley. Shumilikha is among the objects of the “Seven Wonders of Nature of Buryatia”. Return to the boat, dinner on board. Departure Bay Academic, recreation center “Baikal Dunes” (Pribaikalskiy National Park). Free time. Watching DVD discs and board games at the ship’s restaurant. The arrival of the ship at Davsha village (Barguzin Preserve). Breakfast on board. Landings. Excursion to the village. Visit the National Museum, accompanied by researcher. The village is located on the territory of Davsha Barguzin biosphere reserve, the oldest nature reserve of Russia. Lunch on the boat. Excursion along the ecological path from the village to the mouth of the South Davsha Birikan river. The tour leads researcher Barguzin Reserve. The length of the trail 2 km. 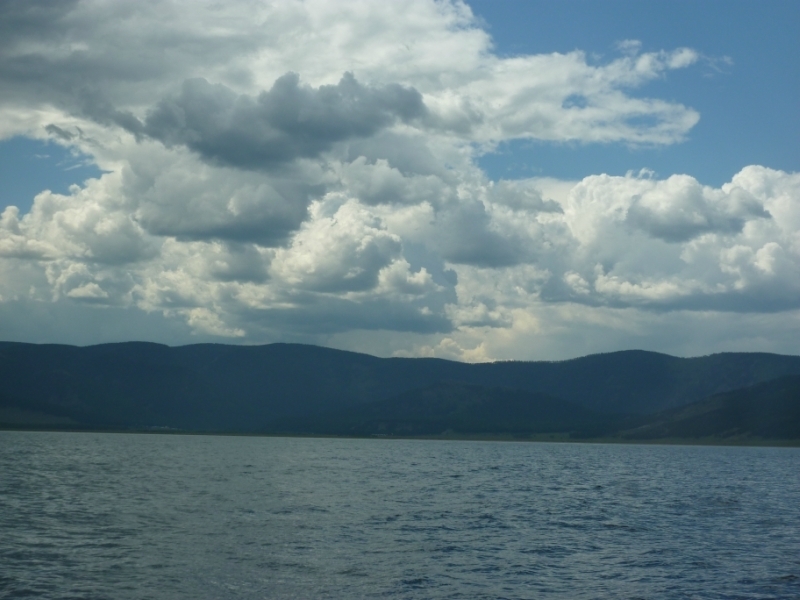 In the south of the bay Davsha empties into Lake Baikal Birikan South River. The origins of the river taken in the foothills of the Barguzin mountain range and stretches through the picturesque landscapes of the highlands about 15 kilometers. 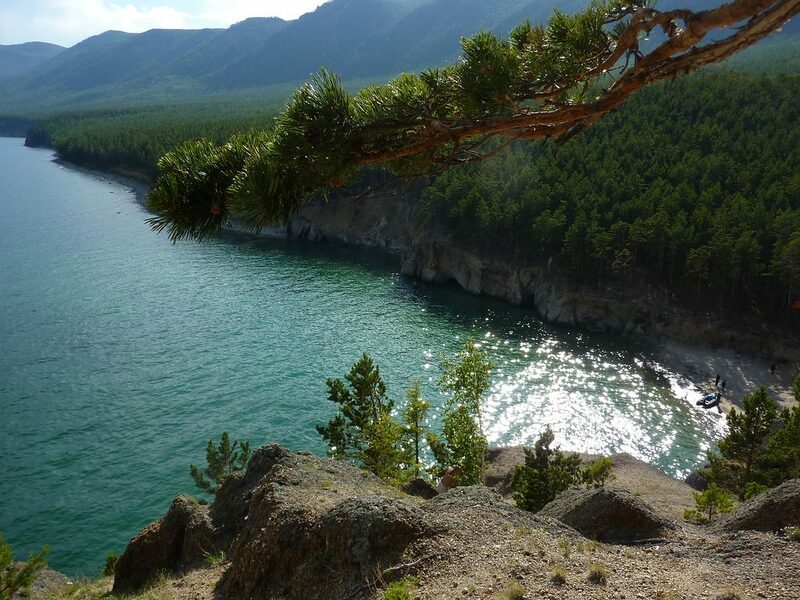 It offers a wonderful view of Lake Baikal and the two capes (Valukan and Nemnyanda) restricting the bay. Return to the boat, dinner on board the ship. Free time. The arrival of the ship at Cape Shartlay. Breakfast on the bot ship. Guided tours. 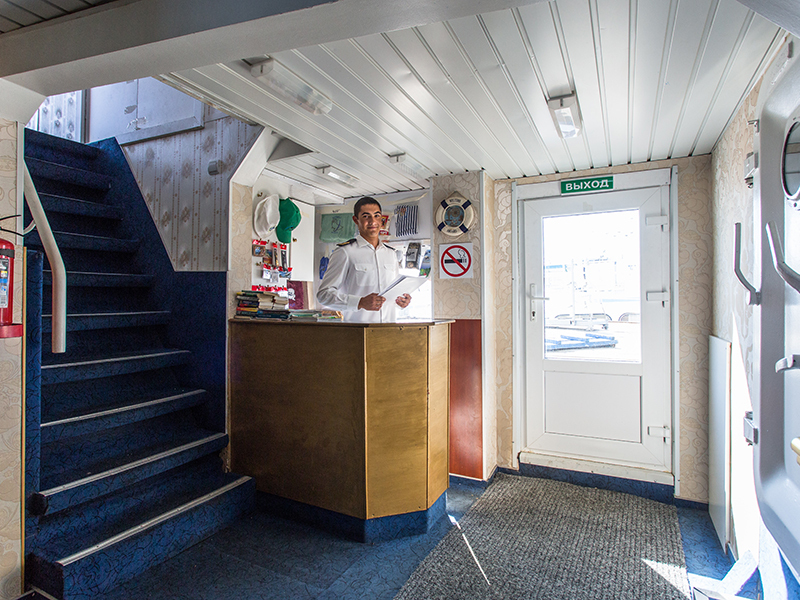 Upon request guests we can organize fishing from the boat (payment in cash on board). 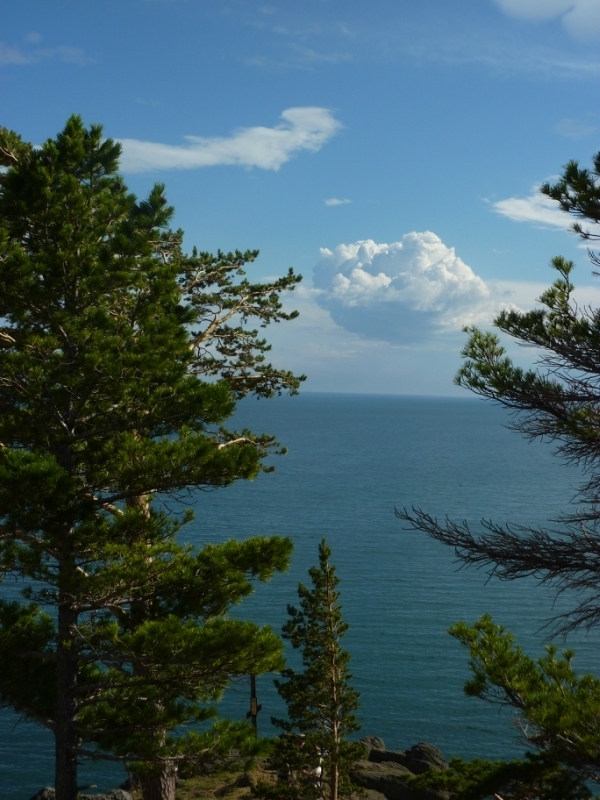 Shartlay – Cape on the western shore of Lake Baikal, 13 kilometers north of Cape Ryty. The Cape is a low platform at the end of the river valley. Covered with steppe vegetation, because the climate is rather dry. Noticeable low ledges and ditches – traces of prehistoric earthquakes. Return to the ship. Go to the village Kocherikovo (Pribaikalskiy National Park) around Baikal lake. Lunch on board. Relax on the deck. 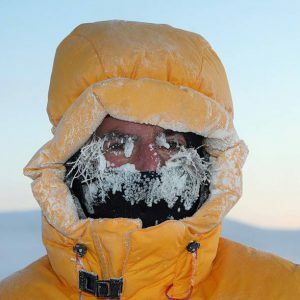 Arrival in Kocherikovo. 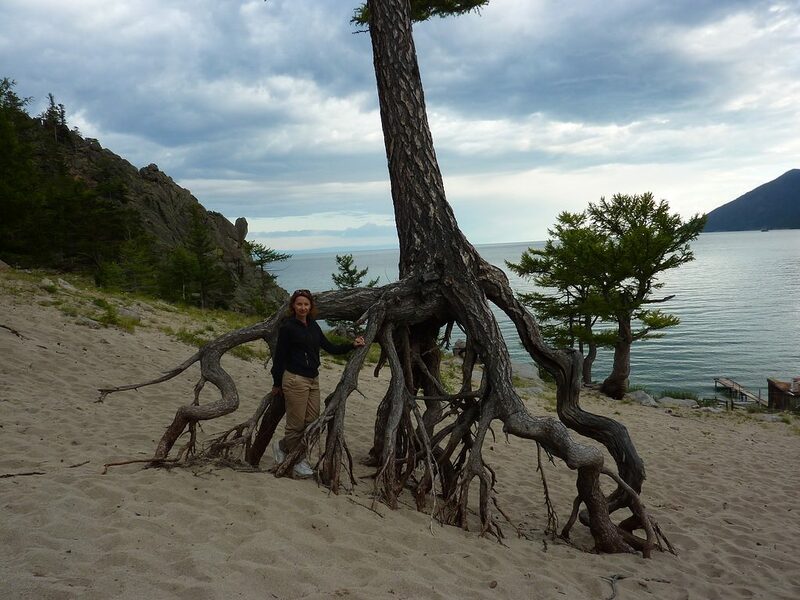 A tour with ornithologist on the territory of Baikal National Park. Relax on the beach. More than 230 species of birds nest in the Lake Baikal region. Of these, 29 waterfowl. Many species of ducks, geese and whooper swans found in the lake. More recently returned, it disappeared at 60’s of last century, black cormorants. Return to the boat, dinner. Breakfast on board. Arrival in the bay academic, recreation center “Baikal Dunes”. Landings. Excursion to the bay’s grandmother. Clean sandy beach, in the shape of a semicircle, 750 m long. 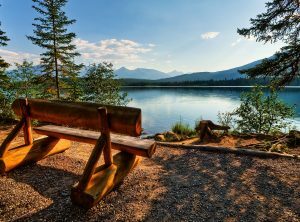 The microclimate of the bay and a large number of sunny days per year, is the only place in Eastern Siberia, where the average annual air temperature is positive (+0,4 ° C). Famous stilted trees, out of which the water and the wind constantly washed out and blown sandy soil grow on the sandy slope in the northern part of the bay. The mighty pine and larch with twisted branches of the wind rose above the ground on stilts roots, taller than a man. Lunch picnic on the shores of the Bay Babushka. Recreation on a sandy beach. Upon request guests can hike on the “Rock Ferris.” Russian bathhouse on the bank of the lake of Baikal with tea herbs. 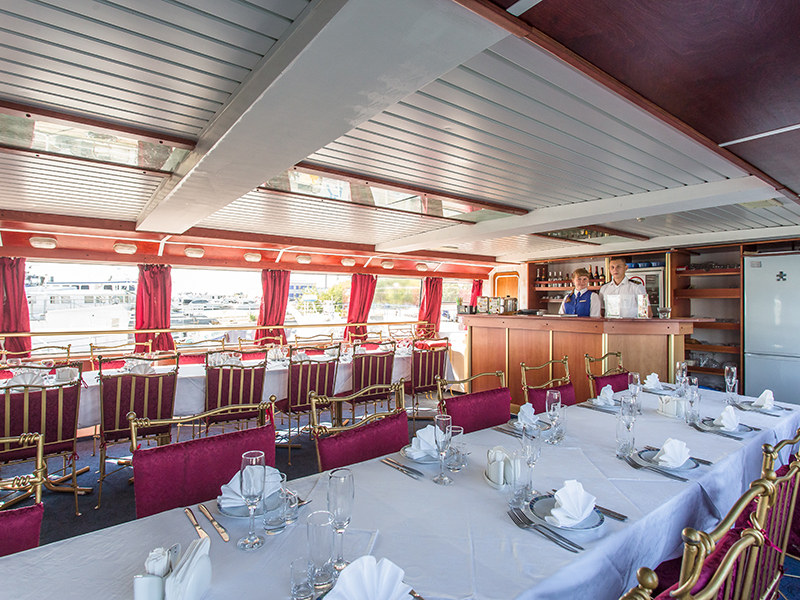 Returning to the ship, Captain’s dinner on board (evening dress code). Free time. Watching DVD discs and board games at the ship’s restaurant. Departure of the ship to Listvyanka. Breakfast on board, arrival to Listvyanka. Boarding the bus, visits souvenir and fish markets. 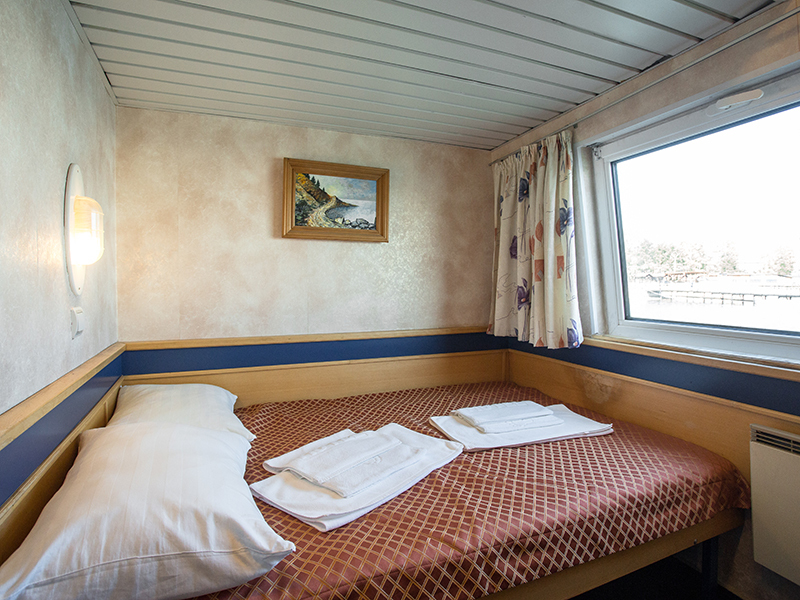 Transfer: Listvyanka – Irkutsk, Hotel “Irkutsk”.